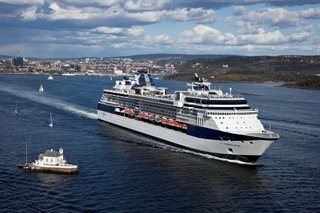 "Solsticization" came full circle aboard Celebrity Constellation® when she received the rest of the Solstice Class® enhancements enjoyed by guests aboard her Millennium Class® sister ships. Enjoy 66 new staterooms including spa-inspired AquaClass® accommodations and Blu restaurant with a healthy and delicious "clean cuisine." Share vacation photos with your social networks through the Celebrity iLounge or the enhanced Wi-Fi on board the ship. Celebrity Suites were refreshed with the addition of their own private verandas. Kids will love the new Xbox consoles within the Fun Factory kids' club and X Club teen venue along with free play on Xbox 360 and Kinect for Xbox 360. Restful sleep is ensured on new Reverie® mattresses in all staterooms and suites. New sun loungers on both pool decks plus a fresh color scheme, carpeting and upholstery all contribute to Celebrity Constellation's modern, new vibe.